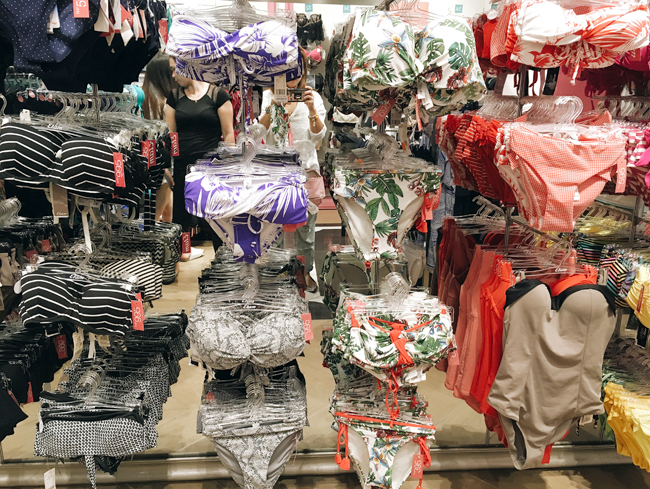 Big summer holidays are upon us, did you shop for a new swimsuit yet? Think high quality premium suits made with Italian spandex from France for as low as P375. Even better? 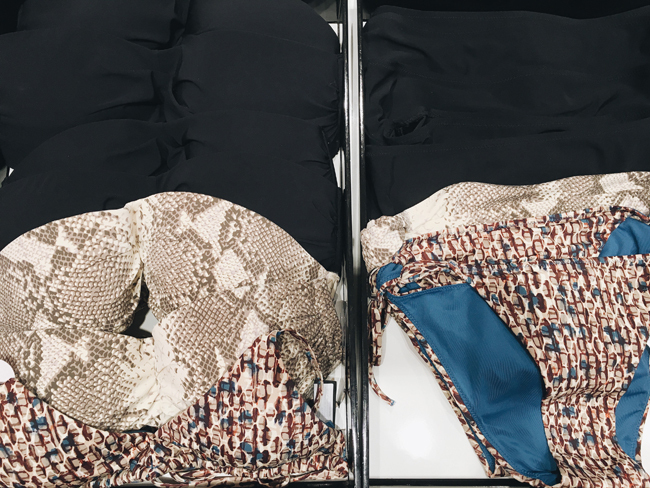 Bikini tops that fit like a glove in your exact cup size. 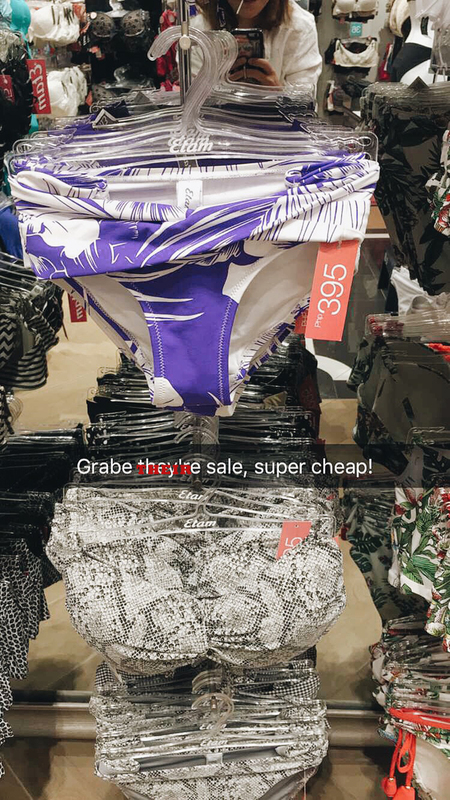 I don't have the body of a model (especially now after gaining 10 pounds huhu) and I have always hated shopping for swimsuits. It was always a sad and frustrating experience that brought out all my insecurities. I never understood why bikinis were sold in XS-S-M-L-XL pairs when our bodies aren't all built that way. It was so difficult to find decent separates with reasonable price tags. 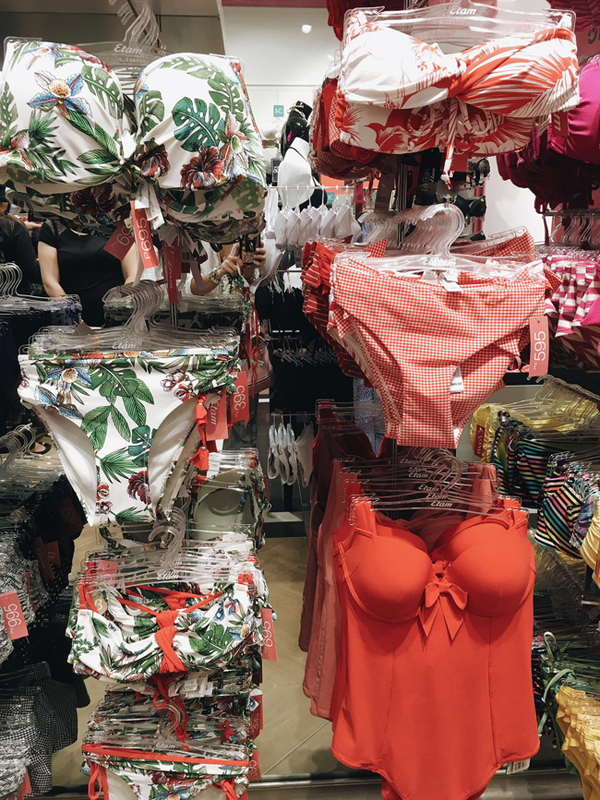 ❥ Shopping for a bikini at Etam isn't traumatic because they treat it the same way as shopping for underwear. "Ate, can I please have a black bikini top, size 32D please and matching bottoms in XS." They will dedicate a staff member solely for you until you find your perfect pair. You can even ask her for a second opinion! Or if something needs to be adjusted, they'll also be more than willing to help. They have that with pads, without, halter style, string, etc. Same is true for the bottoms. They have highwaist, low waist, string, cheekers, etc. They carry a full range of cup sizes starting from 32 A-E, onwards. You would think this kind of premium service and quality comes with a hefty price tag, nope! Their #LovelySale is on now and you can get separates for as low as P395! And not just swimwear even their, undies, cover-ups, loungewear and jammies are also on sale so I suggest you take advantage while it's still hot and lots of sizes and designs are still up for grabs. Do you know how much money I save every year by making it a point to do 90% of my shopping ONLY during big sales? By making this sacrifice, I end up with enough at the end of each year to reward myself with a bag or vacay. Not bad right? Also, I feel like each purchase is more "sulit" and more of a good find than if I purchased it at full price. And good underwear is essential and also the secret behind every successful outfit so it's actually quite a smart investment to make. So yup, go go go to Etam and purchase the bikini of your dreams without putting a hole in your pocket! Cool! I will visit them one of these days! Thanks for the info! Would love to wear bikinis, too. But I know they don't look good on me. I have to do some real work out. Everything's super pretty! Now if I could just lose these extra (extra) pounds here, lol! I've never worn a bikini. I've always just been super conscious of my body as well even when I was thin. I could use new underwear though now that I'm preggy and my size is changing. Looks like they have a great collection to choose from.